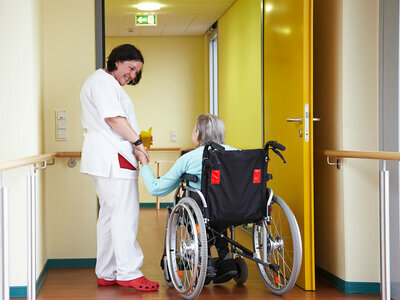 Medical professionals need to build a system that focuses on how to help patients achieve what’s most important to them at the end of their lives, says Dr. Atul Gawande. Dr. Atul Gawande began researching hospice and end-of-life care options because he says he didn’t know how to broach the subject of death with his terminally ill patients. The surgeon and New Yorker staff writer writes about the difficulties faced by medical professionals who must decide when to stop medical interventions and focus on improving the final days of life in his article “Letting Go” in the Aug. 2 New Yorker. Gawande tells Fresh Air‘s Terry Gross that physicians are hesitant to tell patients that there’s nothing else they can do, even if statistics show procedures are unlikely to work. 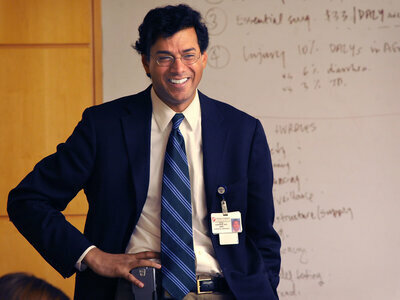 Atul Gawande is a staff member of Brigham and Women’s Hospital and the Dana-Farber Cancer Institute. His books include Better and Complications. Gawande says medical professionals need to build a system that focuses on how to help dying patients achieve what’s most important to them at the end of their lives. Atul Gawande is a staff member of Brigham and Women’s Hospital and the Dana-Farber Cancer Institute. He is also a staff writer for The New Yorker. His books include Better, Complications and The Checklist Manifesto: How to Get Things Right.